Would you tell us about your breastfeeding? Grief is defined as pain, pity, affliction or feeling. It is something that, although we would prefer to avoid, usually comes into our lives, so suddenly, sometimes without warning, other confirming what we had been fearing for some time. It covers you with a dark shadow and you get to feel that you will stay there, hidden, forever. Grief may be of different intensity depending on what is lost, but it almost always leaves a mark on our being. To this day, I have suffered several griefs, and I’m sure you have too. The death of my grandparents were hard times, both as a child and a few years ago. They are moments that I will remember all my life. The “good thing” about these griefs is that they are usually walked in company, surrounded by empathy and hugs. However, there are other hidden griefs, not allowed, treated as a sign of weakness for society, or even for ourselves. Perinatal mourning finally begins to be a subject treated with some respect and understood for what it is, the loss of a loved one, well, worse, the loss of a son or daughter, the greatest loss I think a mother can experience. The mourning for a birth, an “unrespected” birth of our son or daughter, in which you have felt loneliness, misunderstanding, distrust, anger, towards and on the part of those professionals who have accompanied you; it is a process that has to be gone through. There is no point in leaving it there quiet, hidden, because surely, with each birthday of our son or daughter, that wound will open up. Probably, with the passage of time, it will sting less and less, but it will continue to hurt, it will continue to wait for us to cry and shout at it, to end up embracing it. Now I invite you to think what you answered when you were asked, being pregnant, if you were going to breastfeed your baby. “I’m going to try to”. That’s what I answered. You too? With my first and my second child. Breastfeeding on demand, 24 hours, preventing them from crying, placing them on the breast before the first sign of hunger. With my first son we entered his second week of life because of a principle of dehydration. With my second son, having the experience of the first one, he started taking formula on his fourth day of life. I wasn’t going to let him starve, too. Maybe you think that I gave up, that I didn’t seek advice, that I lacked information, but I assure you that’s not the case. Although it doesn’t matter now, because what I want to tell you is that I was going to try to breastfeed, and when I did, when I experienced the mammal that I was, the bond, the feeling of being able to feed my baby only with that liquid that made my body; the fears, doubts and reticence dissipated. And when I lost it, I sank. And countless “comfort” messages, which certainly did not console me. If the decision was not based exclusively on your will, on conscious reflection, there will most likely be pain. 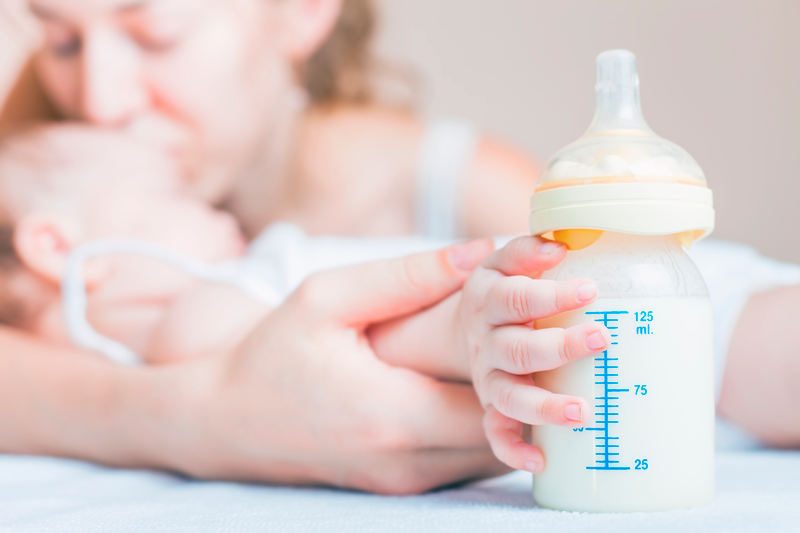 Do tears appear if you think of the end of your lactation? Maybe they didn’t accompany you, or even yourself didn’t accompany you. We don’t usually allow ourselves to be sad, because apart from the fact that it’s an emotion that’s not validated, it makes us feel weak, incapable, and we don’t like it. The first time, it took me four months to forgive myself, to stop being hard to myself thinking that something was wrong with me, blaming myself for everything that had happened. And then I healed, had compassion on myself, and let go of that guilt. With my second child, it was easier. Although I had hope, I was aware of my limitations. Even so, the mourning appeared, and I allowed myself to be sad, to go through that sadness, to communicate it and to let myself be embraced. It was not your wish, but sometimes (many of) our expectations are not fulfilled, and in matters such as breastfeeding, it hurts, and much. Let yourself be hurt. Cry, shout, don’t take away its importance. Let yourself be covered by that dark shadow. Let the wound itch, so that in time it can heal. A lost, failed breastfeeding, for whatever reason, hurts. Even if others play down its importance. Even if you do it yourself. Breastfeeding, Would you tell us about your breastfeeding? 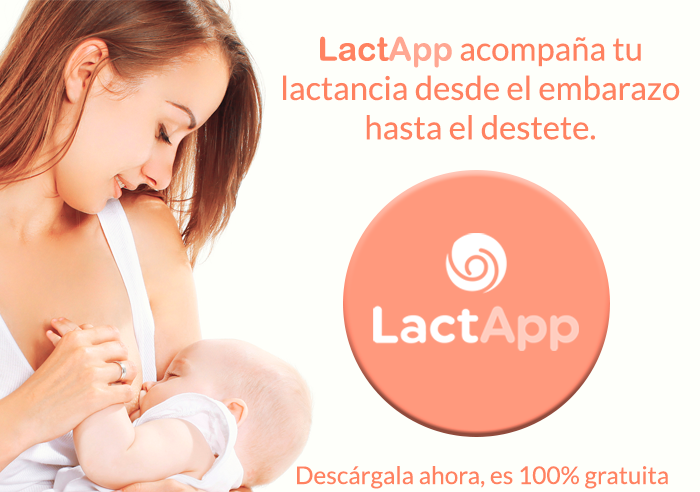 Categories Select Category About LactApp Breastfeeding Difficulties First days Health and breastfeeding LactApp Medical En Maternity Milk Pregnancy Premature infants psychology reflections Resources Weaning Would you tell us about your breastfeeding?